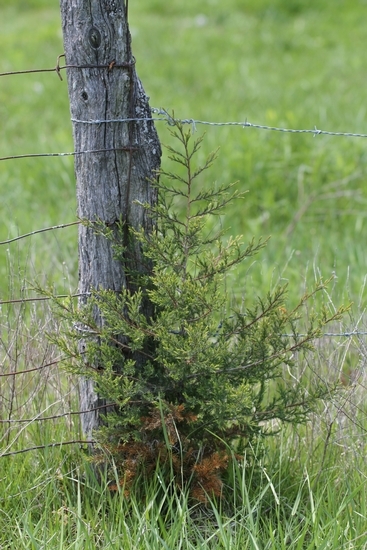 A perennial tree that commonly occurs along fencerows and in unmaintained pastures. 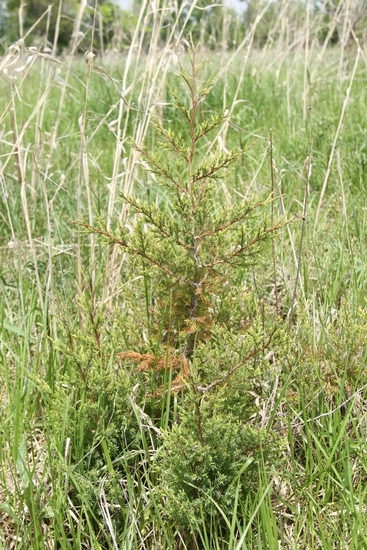 Eastern redcedars can easily measure 30-40 feet in height and female eastern redcedars contain many blue berries that attract birds. 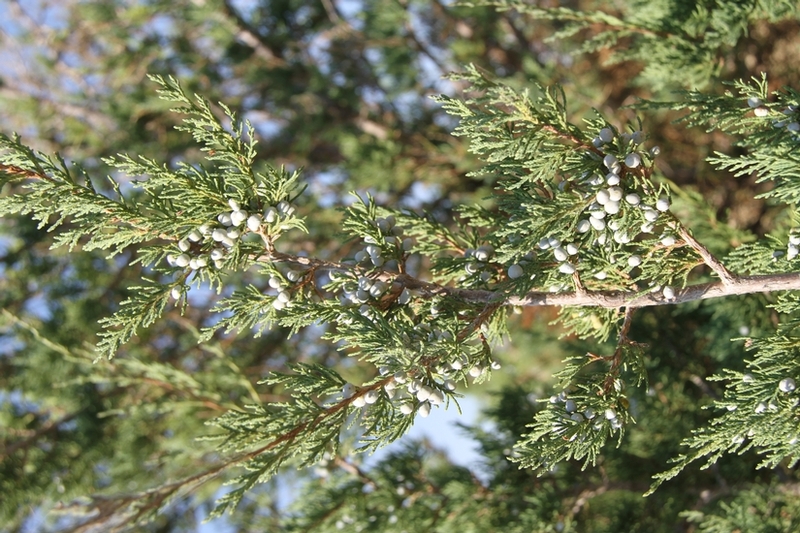 Eastern redcedar leaves are scale or awl-like in appearance and margins are serrated or toothed. 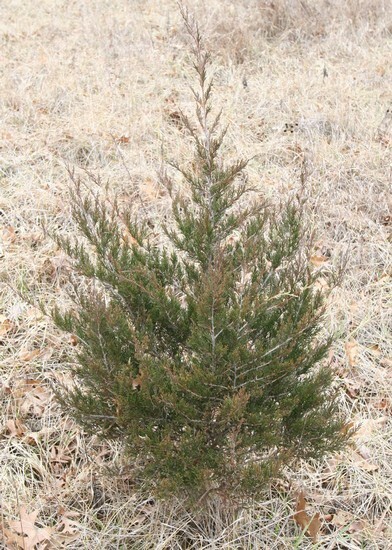 Leaves are green all year, prickly to the touch, and measure 1/16" in width. 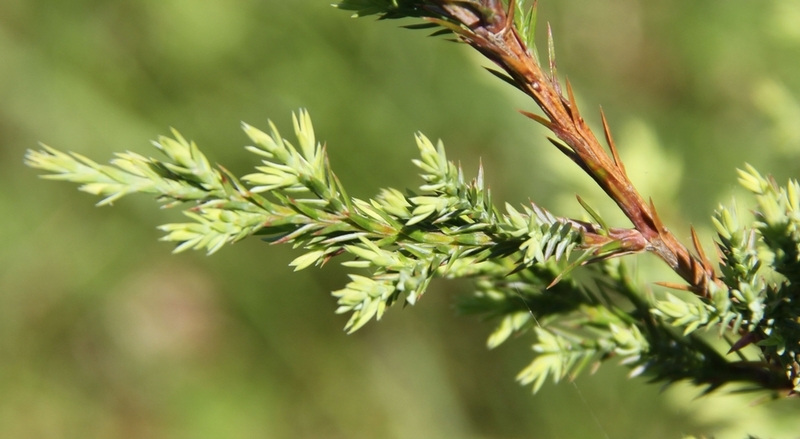 Eastern redcedars has flowers that occur on separate plants; female flowers are green while male flowers are yellowish-brown in color. Deep penetrating taproot with fibrous roots extending outward. Small linear leaves measuring 1/16" wide with serrated or toothed edges. 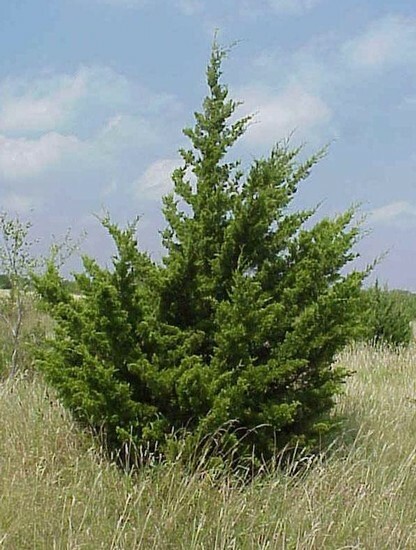 Mature Eastern redcedars are capable of growing 30-40 feet in height and have a distinct odor when leaves are rubbed together. These plants commonly occur along fencerows where birds rest and defecate previously consumed seeds.